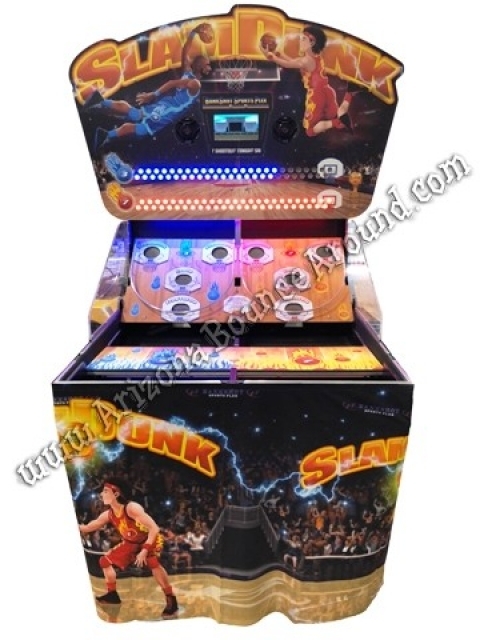 Our 2 player basketball arcade game comes complete ready to play and can be played inside or out. 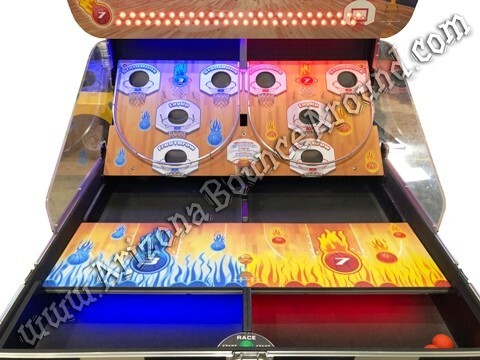 The object of the game is to bounce the balls into the scoring area to score points. Each player has their own scoring and it announces the winner at the end. 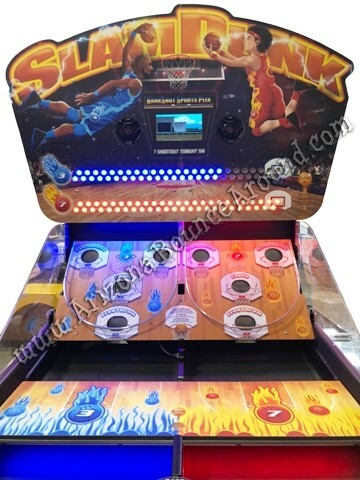 This is a super fun basketball game that's been a part of carnivals, arcades and fairs for years now available in a portable design perfect for parties and events, carnivals, competitions, trade shows, fundraisers, basketball, Final Four, or NBA Playoff parties and more. 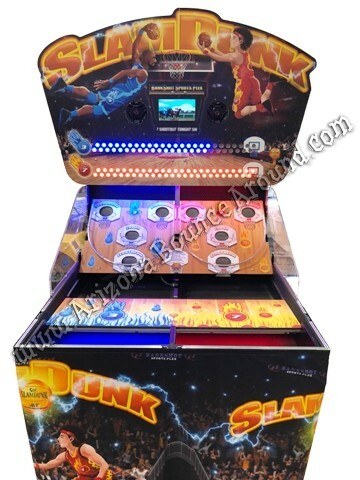 Check out our Basketball Jump Shot Game, Deluxe Inflatable Basketball Shootout, or Professional Basketball Hoop for more basketball sports fun!